I urge you NOT to!! This sign just tells buys that there is NO room for negotiating. 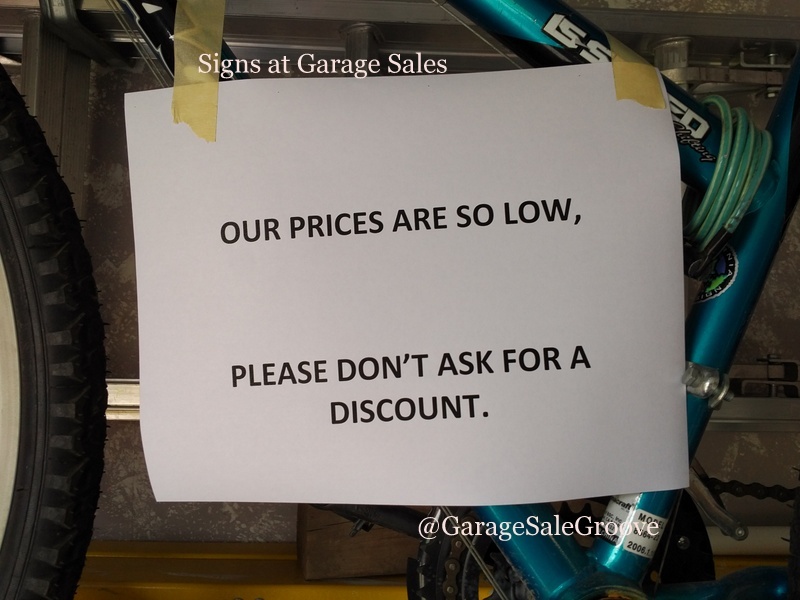 Let's face it Garage Sale Buyers WANT Deals! 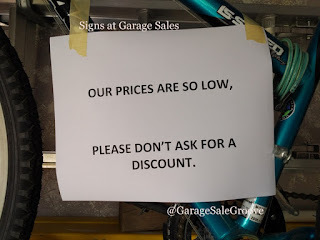 I am NOT saying you have to give deals all the time but a little play in the price can mean the difference of selling an item or it NOT SELLING at all! This is a good sign to have. IF you have a Large item that is pricey, YOU can decided to take a check IF you want but this sign covers you if you don't want to take the check. I have been to garage sales where people try to return things because they decided they did not need the item. You MUST make sure that ALL things in your sale is in good working order. If it NOT, you NEED to let the buyer know the condition of the item.